One of the world's premier academic and research institutions, the University of Chicago has driven new ways of thinking since our 1890 founding. Learn more. At the Center for Continuing Medical Education, we're helping physicians maintain, develop and increase the knowledge, skills, and professional performance and relationships they use to provide services for patients, the public and the profession. Learn more. (ACCME) through November 30, 2023. Learn more about our accreditation status by reading our feature on the Priztker School Medicine's website here. The Center for Continuing Medical Education at the University of Chicago is committed to improving health care delivery and patient care by providing continuing education for the interprofessional health care team. For resources on planning a CME activity, click here. For information about our upcoming courses and registering for them, visit our Course Catalog. Need to register for a CME activity? You’ll have to log in first. Your account will track all the CME activities you complete that are certified by the University of Chicago. You can print transcripts and download certificates any time! April is National Interprofessional Healthcare Month! The Center for Continuing Medical Education (CME) is proud to join the National Academies of Practice (NAP) in commemorating National Interprofessional Healthcare Month. Quality health care is provided collaboratively, benefiting from diverse knowledge and skill sets from a range of healthcare professionals. Interested in learning about interprofessionalism at the University of Chicago? Earn credit while doing so! Click here for a list of events honoring Interprofessional Healthcare Month! Events marked with an ( * ) are CME/CEU accredited. Certified for ABIM MOC II Credit! UChicago expert faculty are eager to lead participants through an exceptional learning experience! Led by nationally renowned experts, this activity will provide critical updates in hepatology. From medical management and effective treatment options, to learning how to apply new knowledge to challenging cases, this course will cover it all. Interested? Learn more by clicking here! Credit for MDs, RNs, ATs, PTs, & OTs available and ABIM MOC II Credit! Join us for a comprehensive review of orthorpaedic care for all healthcare professionals! Don't miss the latest updates on diagnosis and treatment techniques through lecture and discussion. You can also participate in a wide range of hands-on workshops led by orthopaedic experts. Explore all this course has to offer here! Certified for SAMs and MOC II Credit! Continuing in the tradition of 40+ years of tutorials, the 2020 course is designed to update physicians on the latest advances in neoplastic hematopathology. Taking place in sunny Florida, learners will reap the benefits of varied learning formats and interaction with leading experts about difficult cases, field trends, and more! Peak your interest? Get the full scoop by clicking here! The mission of the Center for Continuing Medical Education at the University of Chicago Pritzker School of Medicine is to improve patient care by fostering lifelong learning for all members of both the interdisciplinary and interprofessional health care team. Through the planning and delivery of unbiased, timely, and scientifically robust educational activities, we strive to measurably strengthen learner's knowledge, competence, and performance. It is expected that these activities will lead to improved patient outcomes. We are excited about sharing the latest clinical and research findings through Continuing Medical Education. You will hear about the most recent clinical advances happening here and in other leading institutions around the world. Our CME activities highlight innovative procedures and technologies, examine current controversies in treatment, and provide updates on the latest advances in the understanding and treatment of disease. Find out what's new in accredited CME. Check out some of the latest news stories from the ACCME, AMA, and other organizations below. 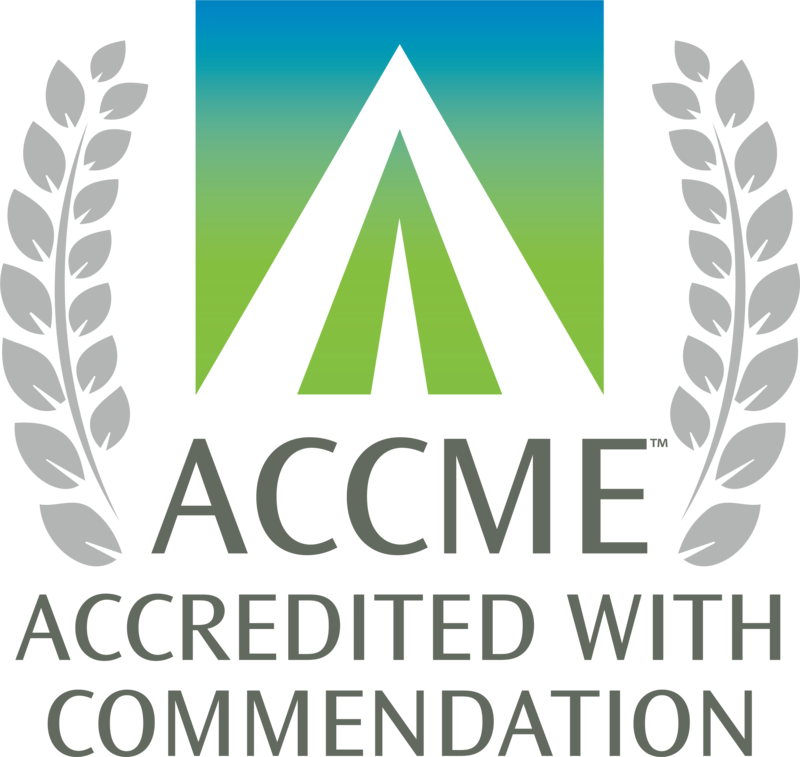 The American Medical Association (AMA) and the Accreditation Council for Continuing Medical Education (ACCME) have simplified and aligned their expectations for accredited CME activities certified for AMA Physician’s recognition Award (PRA) credit. Check for activities you may not have completed by clicking here. See the credit you've claimed along with certificates for completed activities (i.e., e-learning, conferences, etc) by clicking here. See the credit you've claimed for RSS (i.e., grand rounds, M&Ms, etc) and download your transcript by clicking here.